Creating robust & clean WordPress content management systems that delivers better business results for you. Our years of rich domain expertise has garnered us industry recognition and we are proud to be core contributors of WordPress. At SP-Assurance, we always strive to offer WordPress content management solutions that are compatible with different industry verticals. Our team of skilled and dedicated WordPress developers provides end-to-end solutions such as WordPress CMS development, theme customization, plugin development, and WordPress maintenance services with the help of high-quality technology tools and state-of-the-art infrastructure. Venturing into a long term partnership with SP-Assurance gives you an access to the all-encompassing WordPress development solutions that assist you in shaping the most advanced technology framework in your business. From simple WordPress based responsive websites to fully customised web applications, our expert team of WordPress web developers in India has delivered over 100+ WordPress projects successfully. Our experts ensure to keep breaking the monotonous and create something uninhibitedly imaginative always. With years of domain expertise, we come up with unique custom code WordPress CMS development services that extend your site’s functionality to meet your specific requirements. We develop custom plugins by injecting features that work in perfection with your business needs while enhancing the overall functionality of your site. With SP-Assurance, WordPress migration no longer has to be a daunting task! We help businesses convert site to WordPress from Drupal, Joomla, & Magento. We provide creative web design with seamless user interface, fluent navigation, and responsive design to help you distinguish your brand from competitors. Our team of WordPress web developers provide complete WordPress installation as well as WordPress configuration as per specific requirements of clients. We develop custom themes by injecting features that work in perfection with your business needs while enhancing the overall functionality of your site. We make sure to provide responsive WordPress websites so that it can run flawlessly in different devices whether it is PC, mobile or tablet. All our web and mobile app development solutions are well complemented by an efficient and skilled team of support engineers. Start your project today and enhance the reach of your business with WordPress CMS development. 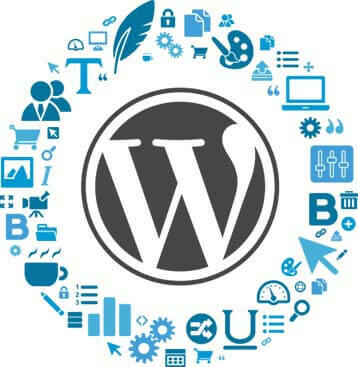 We will create secure, feature packed and user friendly WordPress content management systems at market leading prices. User friendly WordPress CMS compatible with all browsers and devices. Competent & skilled WordPress web developers working solely for you. End-to-end WordPress web development from designing, development to testing.